Civil Engineering is one of the core engineering branches which broadly includes the different streams of structural, geotechnical, transportation, hydraulics and environmental engineering. To bridge the gap between curriculum and industry, the department organizes lectures from eminent industry experts. 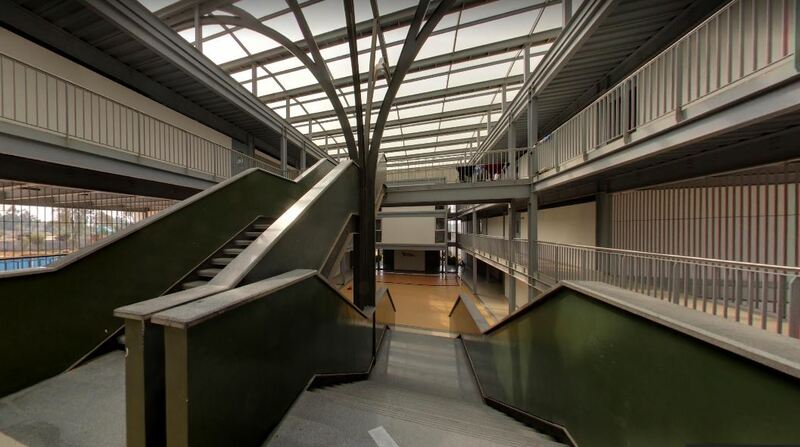 The department collaborates with industries, government and non- government organizations to offer quality-engineering services in the form of design, testing and consultancy by utilizing its state-of-the art laboratory facilities. 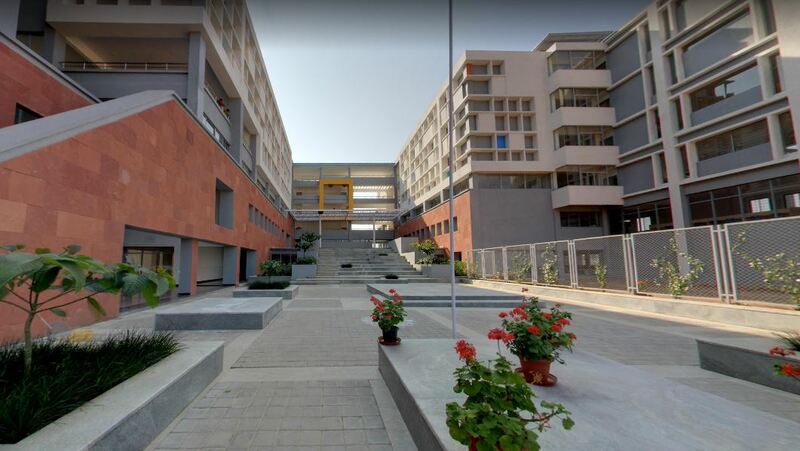 Passed in 2nd PUC/ 12th Std / Equivalent Exam with English as one of the Languages and obtained a minimum of 45% of marks in aggregate in Physics and Mathematics along with Chemistry / Biotechnology / Biology / Electronics/ Computers (40% for reserved category candidates). The Engineering Chemistry Lab has facilities to conduct experiments to bridge the knowledge on analytical, inorganic and physical chemistry. A highlight of this lab is the use of different chemical indicators to monitor the titrations experiments and various instrumentation facilities are available for the experiments related to electrochemistry. Advanced experiments in utilizing the smart phone as an alternative to Colorimeter is also attempted in our lab which expand the scope of engineering chemistry lab. Also, modified Fenton process is also carried out using iron powder from the prospect of wastewater treatment. 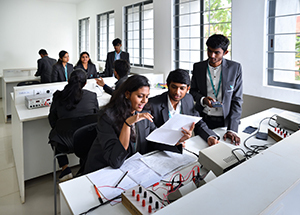 The Engineering Physics laboratory imparts skill in experimental method to the first year students of B.Tech. Programme. 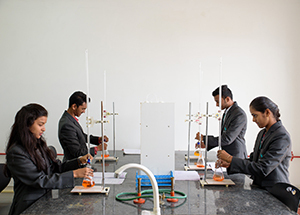 Students are trained to set up the experiments, carry out measurements, analyze the observations, obtain results and draw appropriate conclusions. The laboratory experiments supplement the theory courses so that the students will be in a position to understand the concepts learnt in the theory course.